When European writers imagined the Orient — a distant place, vaguely understood, rarely visited — they invented a landscape in their minds, invented customs and people unlike the real residents of the lands to the East of Europe, and what they invented said a lot more about their own feelings than the reality of the lands to the East of them. I am reading a great deal about problems of orientalism in literature, am writing about imaginary versions of Japan concocted by Anglo writers. As I drove this Monday through landscapes of rolled haystacks bound with wire and cotton — fields and fields of it, stretching with loden green and tufts of white everywhere — I wondered if there might not be a similar mystical landscape version of the South popularized in the North. And so there is: Dixie. Dixie the song was written by a Yankee from Ohio — Daniel Decatur Emmett in 1859. Oh I wish I was in the land of cotton! Old times there are not forgotten! I have not written it in the offensive imitation of ebonics that was the original language of the minstrel show because it makes me unhappy to do so. Within a few years, this song about happy ex-slaves nostalgic for a life of slavery in the South became part of the mythology, fully adopted, mind you, by rebel troops as their fight song in the Civil War. 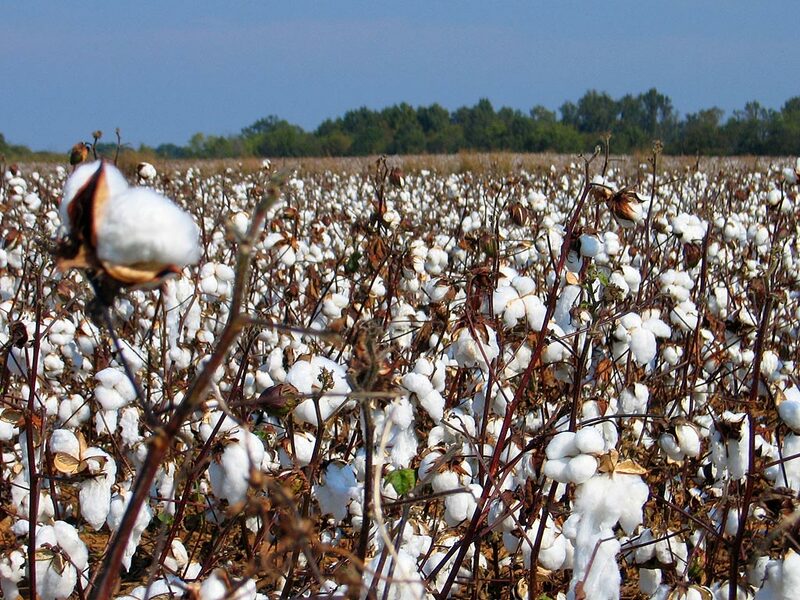 There was an imagined South — one where slaves happily sang as they picked cotton. There were happy women in hoop skirts. There were white men with suits and string bow ties and goatees. There were, in this imaginary South, no real poor white people suffering as the real poor white people did as subsistence farmers. The imaginary South was a fun Broadway show South. Here I stand in the real South, overlooking real and quite lovely cotton fields with a greyish tinge and gritty dirt clods. I am glad I have no picking to do of these tufts. I much prefer this South, the one with the real people who are not always happy but are usually smiling anyway. In Orientalist fantasies, there are often despots. Despotism, according to a scholar named Grosrichard, is an important part of the fantasy. In the fantasy of the South, there are despots, too. The reality of a history of despotism cannot be ignored. The South did hold slaves longer than the Northern states, and there have been many incidents of violence against people of color. However, in the North, the image that the Klan is pandemic in the Bible Belt — that is a fantasy that absolves the North to some degree of its present hate crimes. Earlier this month, a horrible hate crime was committed in the Bronx against a man who was assumed by his attackers to be homosexual. New Yorkers understand this horrible crime within the context of a much larger community where not everyone is filled with hate, not by a longshot. However, the idea persists in New York City that hatred is more universal here in Mississippi. Standing here near a cotton field — admittedly being white, being blonde with blue eyes, hence not as easily a target of such forms of hatred as if I were an African-American woman — I’m not sure that this is so. I tend to think that while there are still some people who are hateful, the vast majority of people behave more like their neighbor’s keeper in a way that New Yorkers do not, can not, given the vast number of neighbors New Yorkers have. People say hello to strangers all the time. Churches feed people and visit the sick (something they also do in New York, when they know who is sick in the community). There are haters here, to be sure, but in New York, I think some of that is just more suppressed, not extinguished. Look at the awful things the Republican candidate for governor of New York said this week. New York is not hate-free. Neither is the South. However, the despotism is muzzled at least down here to some degree in the real contemporary South, at least compared to the imagined South of the song Dixie. In his book Orientalism Edward Said talks about Gustave Flaubert‘s interaction with a courtesan in Egypt — Flaubert had a few imaginary ideas about the way women were different in Egypt than in France. To be fair to Flaubert, in strictly external and superficial ways, the women did look different and sound different. That said, his ideas about Egyptian women were crude and reductive. The ideas that Northerners have about women of the South are a bit silly. They imagine Scarlett O’Hara saying, “Why fiddle dee dee!” They certainly imagine every Miss America contestant from below the Mason Dixon line. There are women who cultivate the pageant and the belle images, to be sure, but it would be crude and reductive to imagine there are no feminists down here, no thinkers among women, no hilarious, goofy interesting and individualistic women. I do think it is harder to be that way down here than up North, as I see a greater pressure to conform to the artificial standards of the cult of Southern womanhood. So as I look at the field in the land of cotton — are old times forgotten here? Look away — no, but perhaps they will be overcome yet. Look away — no, but the South is reinventing itself. Look away — but why would you look away? These fields are beautiful, aren’t they? — Dixie Land.